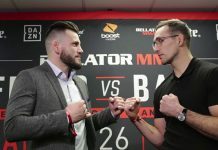 At long last, we’ve got a date for the Bellator Welterweight Grand Prix fight between reigning welterweight champion Rory MacDonald and former World Series of Fighting champ Jon Fitch. According to a report from MMA Fighting, the two welterweight great are set to collide on April 27 in San Jose, California. 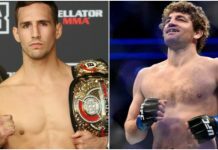 One key detail of this Bellator Welterweight Grand Prix fight is that MacDonald’s title will be on the line, meaning Fitch will become the champion with a win — in addition to advancing to the tournament’s second round. 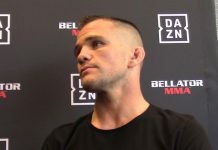 Each of the Fitch-MacDonald winner’s subsequent tournament bouts will essentially be title defenses, with the eventual tournament winner leaving the fracas as the Bellator welterweight king. 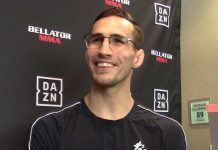 Rory MacDonald last fought in September, when he was thumped to a lopsided stoppage loss in a middleweight title fight with divisional kingpin Gegard Mousasi. 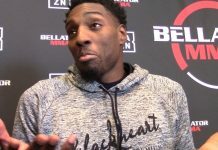 Prior to this tough loss, MacDonald went 2-0 in his first two Bellator bouts, defeating Paul Daley by submission in his debut, and defeating Douglas Lima in his second bout to claim the welterweight strap. He’s a strong 20-5 overall, with his lone losses coming against Carlos Condit, Robbie Lawler (twice), Stephen Thompson and Mousasi. Jon Fitch, on the other hand, who once fought Georges St-Pierre for the UFC welterweight title, is 31-7-1 in sum. 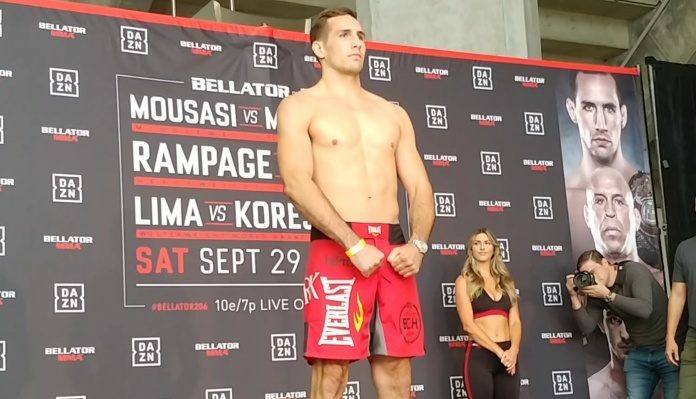 He made his Bellator debut in May, defeating Paul Daley by decision. Fitch will enter this fight with MacDonald on an impressive, five-fight streak. Who do you think will come out on top when the cage door closes on Jon Fitch and Rory MacDonald this April?